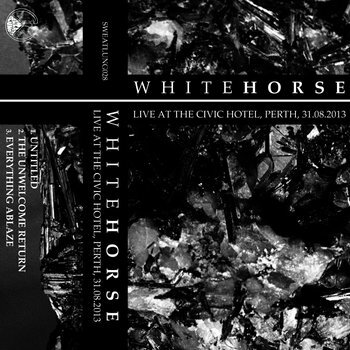 Whitehorse live at The Civic Hotel, Perth, 31.08.2013 featuring 3 tracks; untitled, The Unwelcome Return (first performance in 6 years!!) and Everything Ablaze. There was only 100 copies on cassette released on Sweatlung Records. Great band, great stuff!